Home / Accessories / Small Bulb Baskets, 18 cm, Set of 5. 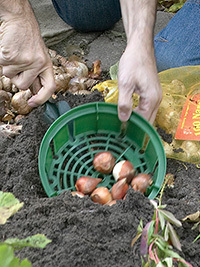 Small Bulb Baskets, 18 cm, Set of 5. For protecting those special bulbs from the push hoe! Set of 5, 18cm diameter.